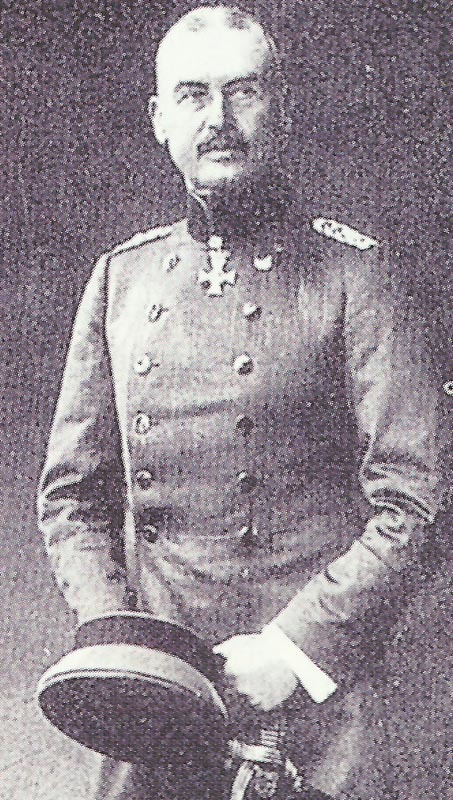 General Liman von Sanders, commander of the Turkish 5th Army. Dardanelles: Liman von Sanders given command of Turk Fifth Army (he arrives on Gallipoli on March 26). Tripolitania: 2 Italian coloumns restore Misurata’s links (cut on March 18) with its ports. North Sea: Fog fails Harwich Force seaplane attack on German Nordreich radio station (also thwarted on April 3, 6 and May 11); cruiser Undaunted and destroyer Landrail collide (7 casualties) but get home until March 26. Occupied Belgium: 2 RNAS aircraft bomb coastal U-boat assembly yards at Hoboken, Antwerp (repeated on April 1). Britain: Churchill memo on capturing Borkum Island after May 15. Chile protests against Royal Navy violation of territorial waters on March 14-15, when German cruiser Dresden was catched off Juan Fernandez.